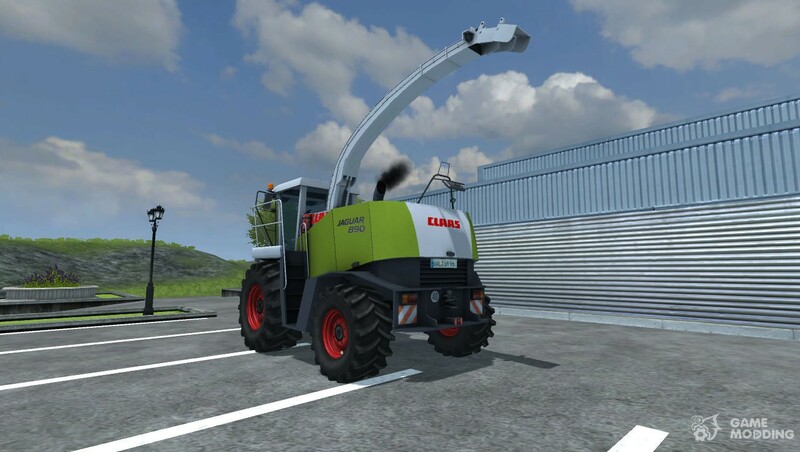 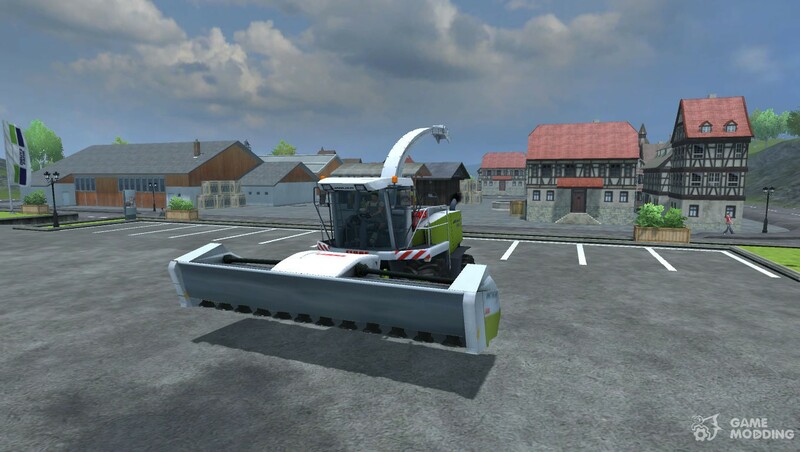 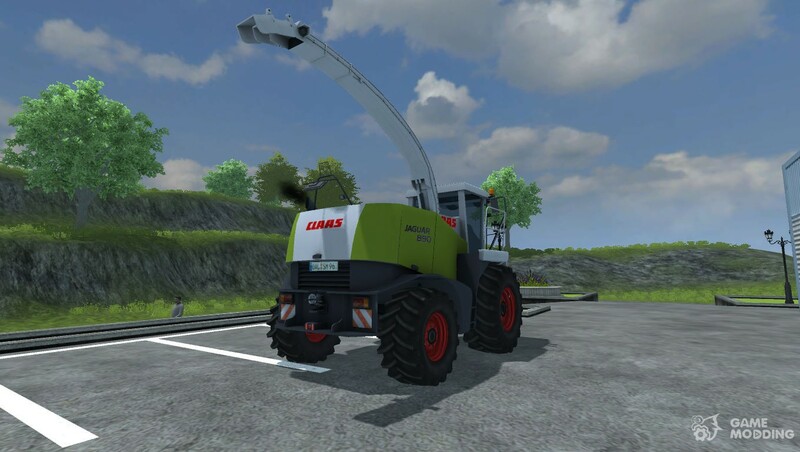 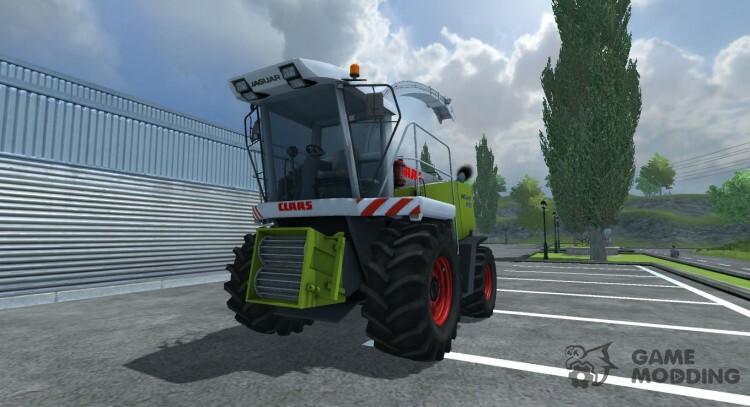 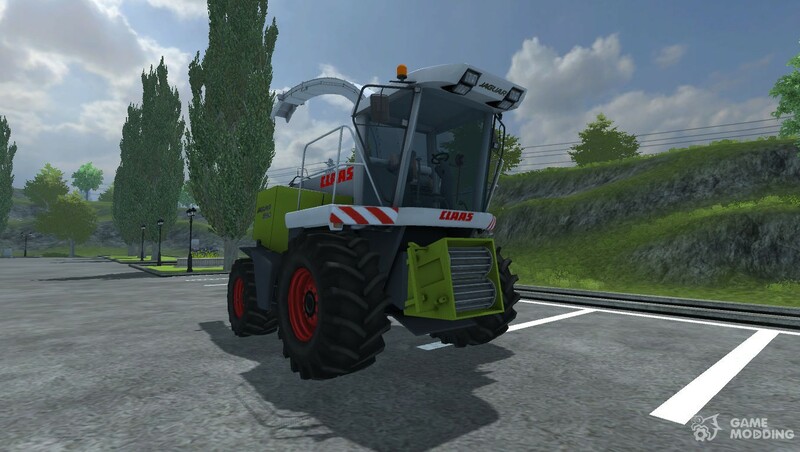 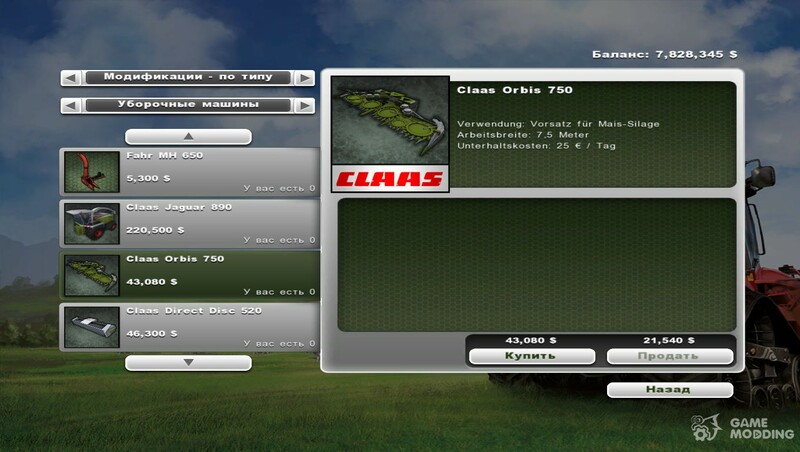 The modification adds in Farming Simulator 2013 new Harvester-CLAAS JAGUAR 890. 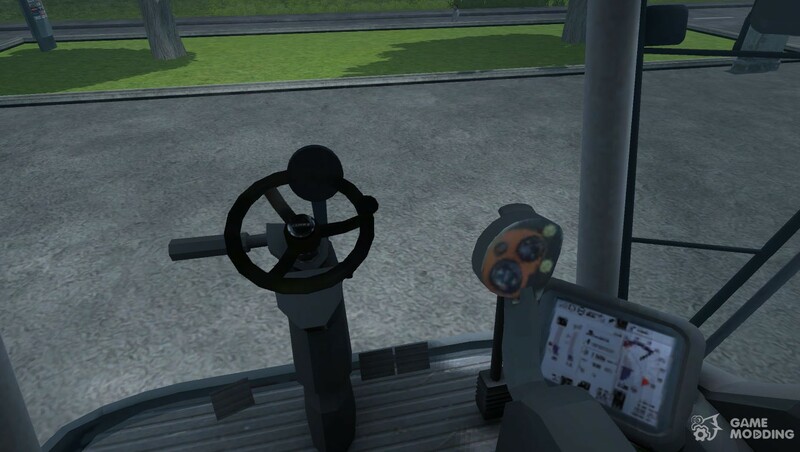 The harvester has an active acquiring hectare counter, counter, and animation of the joystick in the cockpit. 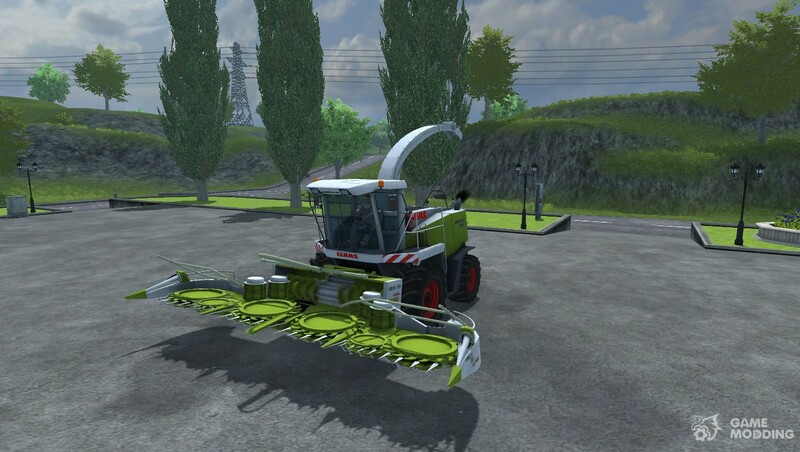 The two are attached to a combine harvester, one for the harvesting of wheat, barley, canola, grass-a width of 5 m, the second for corn-a width of 7.5 m. The cost of the combine 220.500 $. 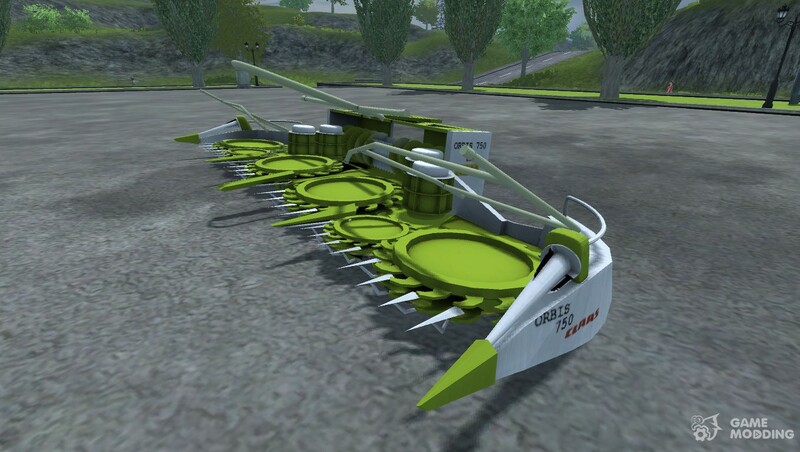 Rate combine corn 43.080 $. 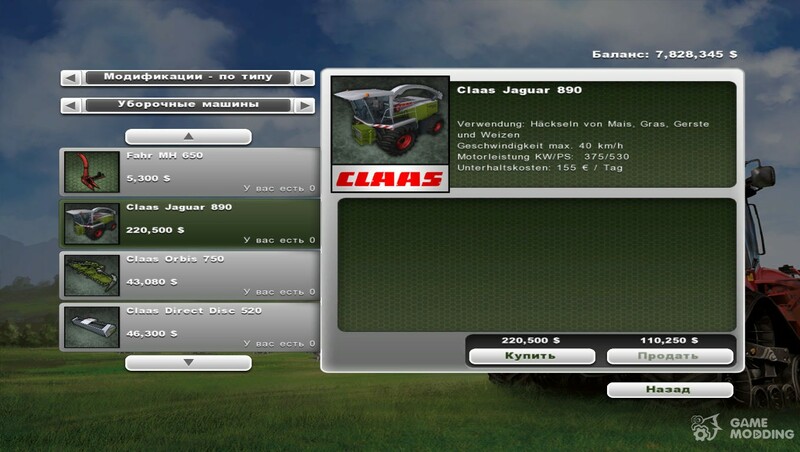 Rate combine other cultures 46,300 $.